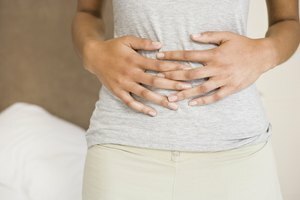 Water retention is a common problem, and instead of taking drugs, you can try home remedies for relief. The herb parsley is a rich source of antioxidants and a good source of vitamins C and A. Parsley is also a good source of folic acid and an excellent natural diuretic used in soups, salads, juice and as a tea. Parsley has a fresh, unique taste that may take some time to become accustomed to. 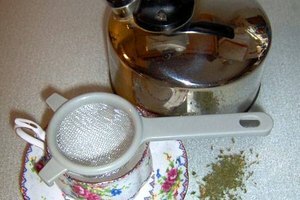 Brewing parsley tea is the best way to use parsley to aid in reducing water retention. 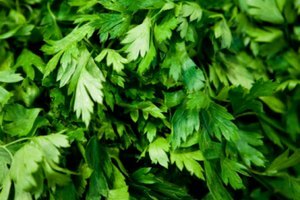 Take two teaspoons of fresh parsley leaves, put them into one cup of hot water and let steep for 5 to 10 minutes. Strain and enjoy 3 times per day. Health foods stores also carry prepacked parsley tea packets. 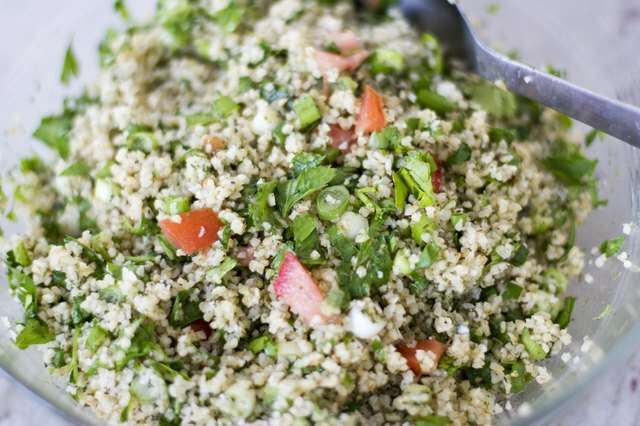 Eat a fresh tabouli salad made with 2 to 3 cups of parsley leaves, 1 cup of bulgar wheat, 1/4 cup of green onions, a few mint leaves, 1/2 of cup of lemon juice and a dash of olive juice. Eating fresh parsley can significantly reduce water retention. 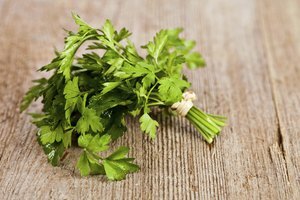 Use a juicer to make a healthy parsley drink. 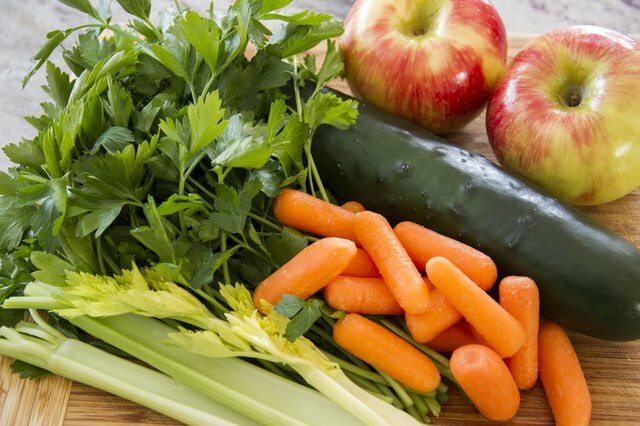 If you have a juicer, add a few springs to your favorite juice recipe or create a simple juice with 2 apples, 6 carrots, 1/2 cucumber, 1 rib of celery and 4 springs of parsley. The juicer will squeeze the important oils and nutrients out of the parsley, helping with water retention. Drink 2 to 3 times per day until your water retention symptoms disappear. Drink parsley with cold water and lemon. 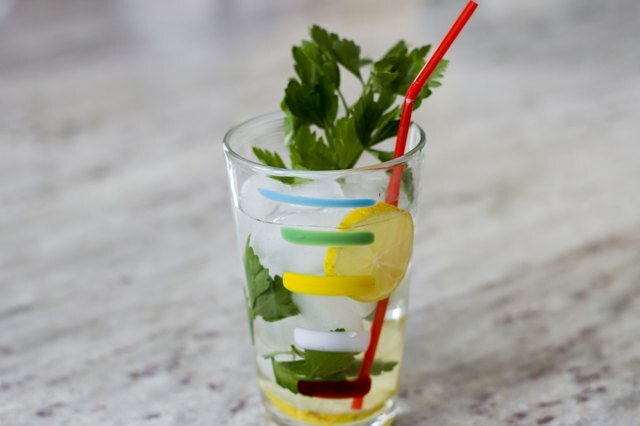 Put a few springs of parsley into your water with a lemon wedge. 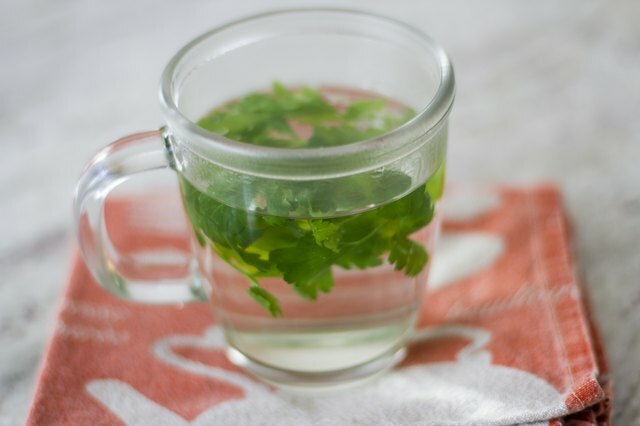 This is not as strong as parsley tea, but in order to get relief from water retention you should increase your water intake, and adding a bit of parsley to your drinking water can help. Drink at least 64 ounces of water each day. Reduce your salt intake to help with water retention. See your physician if your symptoms do not improve, because water retention can be related to an underlying health condition. Parsley should not be consumed as a drug or supplement by pregnant women because it can lead to uterine stimulation and preterm labor. Individuals with existing kidney or gallbladder problems should not eat parsley and should talk with their physician if they are starting a new diet regimen.